On March 24, we recognize American Diabetes Day. It is a day we take time to consider the impact of a disease that affects an estimated 29 million Americans. Diabetes is a condition that describes a group of metabolic conditions that impact an individual’s blood glucose levels. This high blood glucose level is caused by either inadequate insulin production or an improper response to insulin among the cells. There are several risk factors for developing diabetes. These might include family history, issues with the pancreas, infection or illness, obesity, glucose intolerance, or insulin resistance. Diabetes is generally categorized as either type 1 or type 2. A person who has type 1 diabetes does not produce insulin. Often this is referred to as juvenile diabetes, but the disease can be developed as an adult as well. Because individuals who have type 1 diabetes do not produce insulin, they require injections for the rest of their life. A person who suffers from type 2 diabetes does not produce adequate amounts of insulin for proper functioning or the cells do not react properly to insulin. This is the most common type of diabetes. Individuals who are diagnosed with diabetes are also at risk for other conditions. These might include skin conditions, vision problems and neuropathy. At Westside Medical Supply we have a full range of products to help support individuals suffering from diabetes. Our diabetic footwear offers the right support for patients who are suffering from foot related issues associated with diabetes. 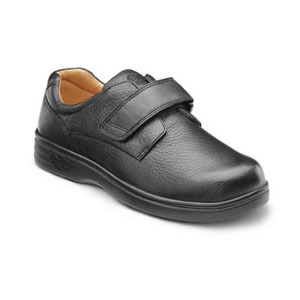 Check out our full line of diabetic footwear options!